Mega Moolah has done it again, and has broken the Guinness Book of Record in Highest Ever Recorded Online Jackpots. The previous record was €18,910,668.01 won on the 28th of September 2018 from a player which preferred to remain unknown. Do you blame him/her for that! The current Mega Moolah Jackpot has surpassed €20,000,00, which is an absolute life changing amount. There has been fantastic wins on this online jackpot video slot which was developed back in 2006 by Microgaming, making it one of the first Jackpot video slot available online! Who is going to be the lucky winner to land this fantastic jackpot? One can win the Mega the Mega Moolah jackpot by simply spinning the reels at any coin and bet level. The Mega Moolah Jackpot wheel is triggered randomly while spinning the reels. One the Mega Moolah Wheel is triggered, the fortune wheel will open giving the player the possibility to win either the Mini, Minor, Major or the Mega Jackpot. The Mega Jackpot is obviously the most juicy one but the Major jackpot can also grant fantastic wins that would make a difference in the daily life as it starts from €10,000 every time the jackpot is reset. Online Casinos that offer Mega Moolah Jackpot Slot! Not all the brands that ffer Microgaming games opt in for this fantastic World Breaking Record video slot, but we can recommend a few on which you will be able to join and play Mega Moolah video slot. Find below the recommended casinos to play on. ComeOn Casino offers a wide selection of online casino games including Mega Moolah video slot. 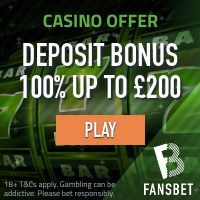 New registered players from the United Kindgom will get 20 No Deposit Casino Spins in Starburst + a first deposit bonus of 100% up to £25. Players residing in Sweden will get 10 No Deposit Spins in Starburst + 100% first deposit bonus up to 3000 SEK. Players residing in Germany will get 400% when making a deposit of €10, which means they will get €50 in total to play their favourite slots. German players can also opt in to receive 100% deposit match up to €100. Note that deposits via e-wallets are not eligible for the above mentioned deposit bonuses. Read carefully the terms before making any deposits or claiming any bonuses! Join ComeOn Casino and try your luck on Mega Moolah Jackpot! You can play Mega Moolah video slot at SlottyVegas which offers all games powered by Microgaming. New registered players will get 25 spins on the Starburst video slot – No Deposit Required! Yes that is right, you will start with a complimentary gift on the house to try out the casino suite before making your first deposit. Slotty Vegas Casino has its unique features, including the Supercharged™ Wins. New depositing players will get 100% up to £/€/$150 (1500 SEK/NOK) + spins to play on the Game of the Week slots! Play Mega Moolah video slot at SlottyVegas Casino! 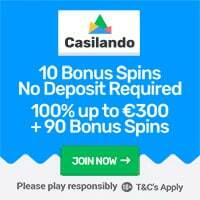 Casilando is currently offering an exclusive no deposit bonus to new registered players! Claim an exclusive 10 bonus spins no deposit required to play in the Book of Dead video slot by Play’n GO. New depositing players can claim a first deposit bonus worth up to £/€/$300 + 90 bonus spins in Book of the Dead video slot. You can also try your luck on Mega Moolah which is available on Casilando! Click here to join Casilando and try your luck on Mega Moolah Jackpot!